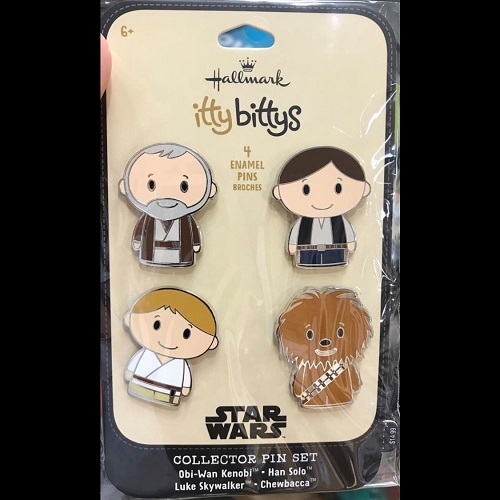 Here is a look at another new itty bittys® pin set at Hallmark! This one features various characters from Star Wars. The featured characters are: Obi-Wan Kenobi, Han Solo, Luke Skywalker and Chewbacca. The retail price is 14.99 for the set. It is available at Hallmark retail stores. Released in July 2018. Set includes 4 enamel and metal collector pins.